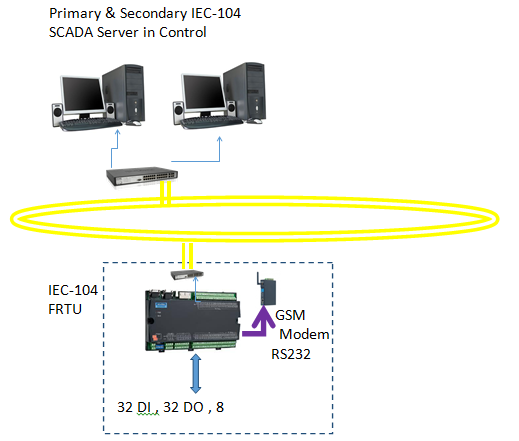 IEC 104 to Adam & Modbus RTU Gateway : is a Protocol Converter for Adam-4000 series products of Advantech on RS485 to IEC-104 protocol on Ethernet integrated in an embedded Win7 rugged computer. 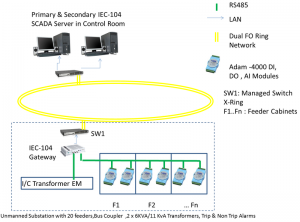 The gateway leverages the flexibility and ruggedness of the Adam-4000 series I/O modules and makes them compatible with IEC-104 SCADA for Distribution automation . 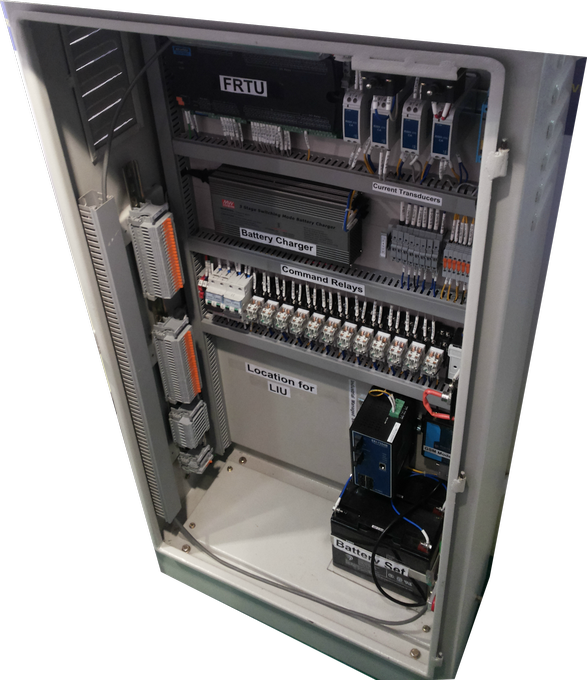 The compact Rail Mounted Adam modules are fitted in existing feeders for monitoring ON /OFF/ Trip /Spring Charge Status and for putting the Feeder ON/OFF . Load current in a leg is also monitored thru Current Transducers. The modules in all feeders are daisy chained thru RS485 and connected to gateway computer . 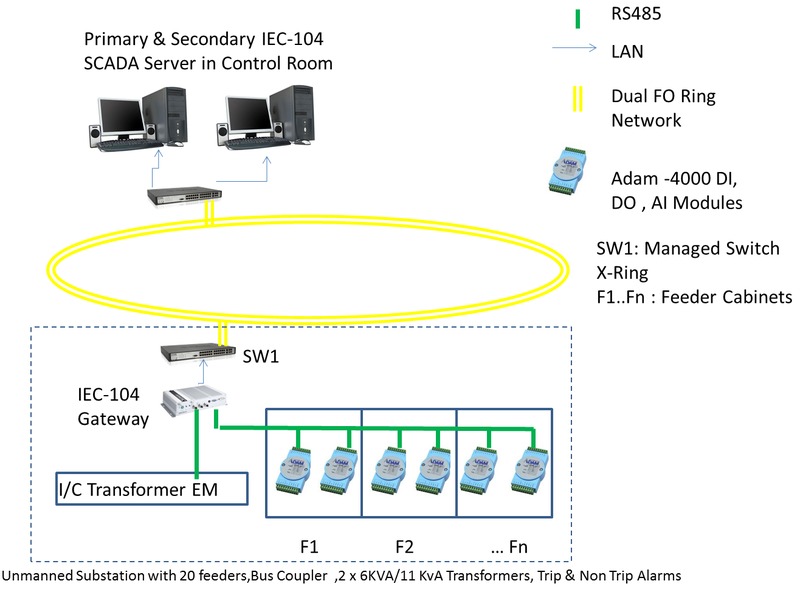 Energy Meters on Incoming Transformers are also connected thru RS485 Modbus thru a separate port on the Gateway . 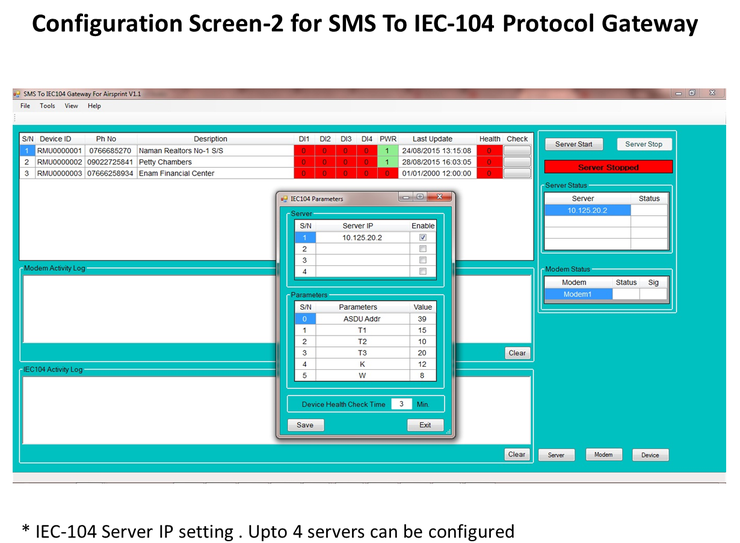 I/O’s can be configured as per customer requirement. The Gateway can be freely configured for any number of Adam or Modbus devices . 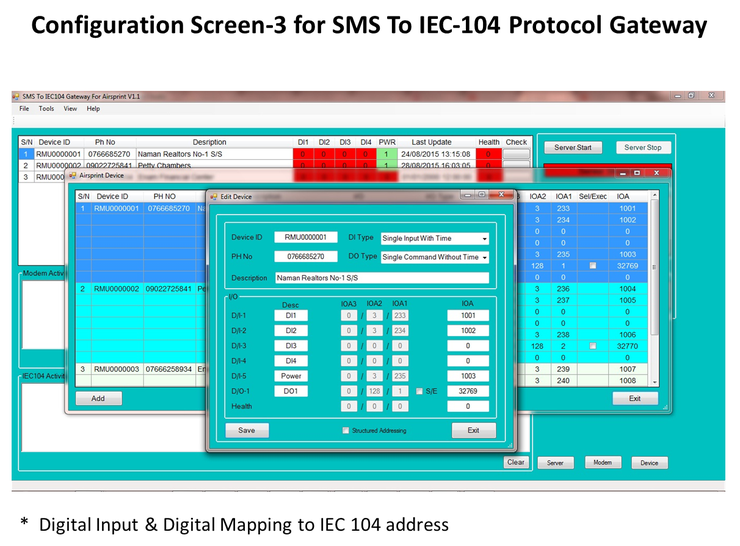 SMS to IEC-104 is a Gateway for connecting M2M devices to IEC-104 protocol based DMS. 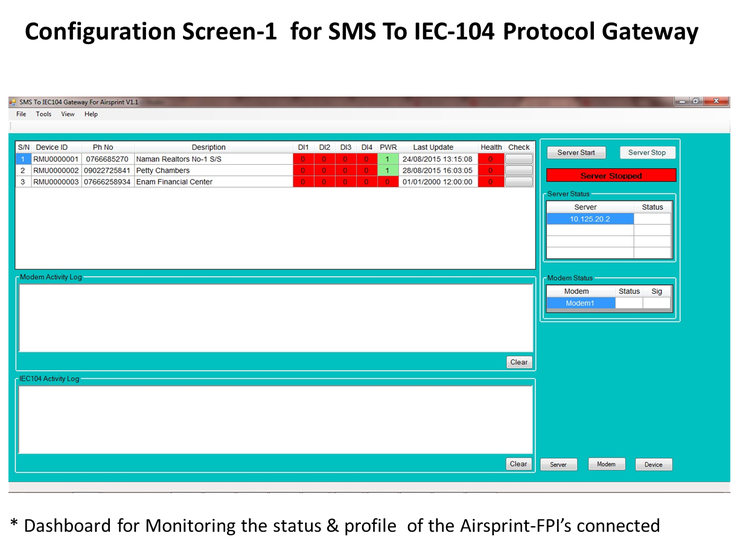 Devices like Airsprint-PFI, Airsprint-FPI etc send change events thru SMS to Modem Connected to the Gateway Computers. 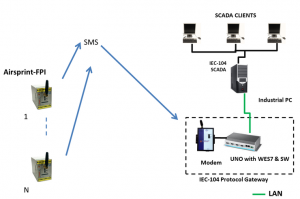 The Gateway converts the SMS to IEC-104 Protocol & connects to the SCADA over LAN. Other Hardware protocol can be added on Request. 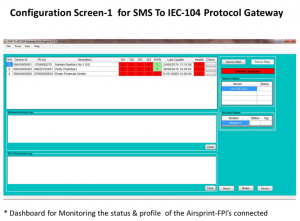 Airsprint – FRTU is a Feeder Remote Terminal Unit suitable for RMU Automation thru FO /Wireless Ethernet based networks with existing IEC -104 compliant SCADA system. 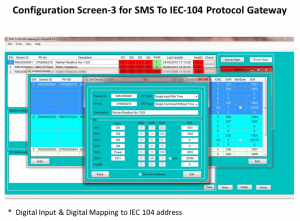 The Airsprint –FRTU is based around the rugged ECU-1911 RTU and our implementation of the IEC-104 protocol . 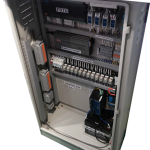 A complete outdoor compact enclosure with transducers, relays, power supply, battery charger alongwith batteries are provided so that control is possible even when auxiliary power is off. 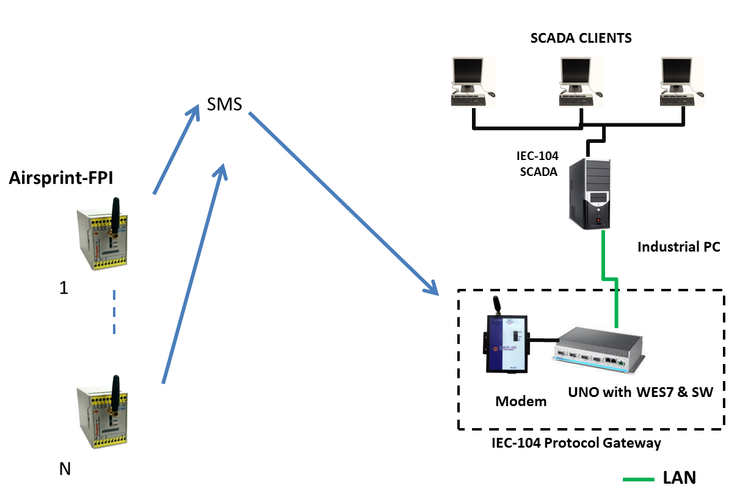 In case of FO cable disconnection the GSM Modem connected thru serial port of RTU is used to send Alert to Multiple mobile nos. Moreover all DI changes are sent thru SMS till FO fault is rectified. Standby GSM module on RS232 port for SMS Alert in case of LAN disconnection . 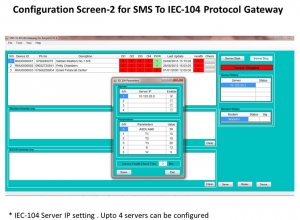 SMS Alert on Network Failure to upto 4 Mobile Nos.